At LowestPriceTrafficSchool.com we've made our courses as easy as possible to complete however we do understand that you may have a question or two. Below you'll find our most frequently asked questions. If you don't find your answer here feel free to contact our friendly customer service team by phone or email. How old do I need to be before I can sign up for any of the courses? What do I need to bring with me when getting my learner permit/driver license? What do the DMV written exams cover? Is the official Florida DMV Exam? What are my driving privileges when I turn 15? What are my driving privileges when I turn 16? What are my driving privileges once I turn 17? What happens if I get a ticket before I turn 18? What are the benefits of attending a driver improvement course? What should I do if I am involved in a crash with an unattended vehicle? What does my school attendance record have to do with my driving? What do cigarettes have to do with my driving? Is automobile insurance required when I register my vehicle? What if I fail to keep insurance on my vehicle that I've registered in Florida? What should I do if I am involved in an automobile crash? Do you offer the Florida Learners Permit course in Spanish? The DMV requires that you bring the TLSAE/4-hour drug and alcohol awareness course certificate and the identification documents listed in the front of the Florida Driver Handbook to their office to purchase the Learners Permit license. We have included an excerpt from the Handbook regarding the required identification documents below. Florida or out-of-state driver license, valid or expired. Florida and out-of-state non-driver identification cards (state issued). Federal form DD-214 (military record). Personal identification by an examiner or by a person well known to the examiner. Family bible record or birth announcement in baby book. Parent consent form of minor. Out-of-country driver license or identification card, government issued. What does the Florida DMV written exam cover? The written test consists of 50 multiple choice questions regarding the rules and signs of the road. You must answer at least 40 questions correctly in under 60 minutes in order to pass and receive a learner permit. You also must pass a vision test using an eye machine with 20/40 or better in both eyes, with or without corrective lenses. Is this the official Florida online DMV written exam? Yes, the Florida Department of Highway Safety & Motor Vehicles has authorized LowestPriceTrafficSchool.com to provide the DMV's written test online. The eligible ages for the online driver license written exams are 14, 15, 16, and 17. Any new driver 18 years or over taking the DMV Test must take it at a local DMV Office. When you turn 15, you are eligible to earn a learner permit license if you have completed a driver ed course. You must hold your learner permit license for at least twelve months (or until you turn 18) before applying for a full license. Your learner license is valid for six years and is renewable. When you first receive your learner permit license, you are only permitted to drive from 6 am until 7 pm with a licensed driver 21 years of age or older occupying the seat closest to the right of you. After three months, you are permitted to drive until 10 pm with a licensed driver 21 years of age or older occupying the seat closest to the right of you. A learner permit does not give you the right to operate a motorcycle. You must have had a learner license for at least 12 months without a traffic conviction. Teens issued a traffic citation may elect to attend traffic school in order to avoid a conviction. Your parent or guardian must certify that you have at least 50 hours of behind the wheel driving experience, 10 hours of which occurred at night. Once you receive your Florida driver license, you will only be permitted to drive between 6 am and 11 pm unless you have a licensed driver 21 years of age or older occupying the seat closest to you or you are driving to or from work. 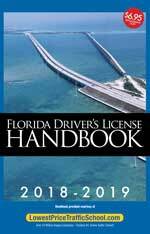 Once you receive your Florida driver license or if you received your Florida driver license prior to your 17th birthday, you will only be permitted to drive between 5 am and 1 am unless you have a licensed driver 21 years of age or older occupying the seat closest to you or you are driving to or from work. What happens if I get a traffic ticket before I turn 18? What are the benefits of attending a driver ed/driver improvement course? If you are involved in a crash with an unattended vehicle, you must give the owner of the vehicle your name, address, and tag number in person if possible. If you are unable to find the owner, you must attach the information in a note to the object that was hit. You must also report the accident immediately to the appropriate law enforcement agency. According to the Florida Statutes, once a student accumulates 15 or more unexcused absences in a period of 90 calendar days will be unable to receive or maintain driving privileges. In the state of Florida, if you are convicted of possession of tobacco products before the age of 18, you driving privileges will be suspended. Yes. If you own a vehicle with at least four wheels and are registering it, you must have insurance. The state of Florida has two motor vehicle insurance laws. The first is the Financial Responsibility Law which requires operators and owners of motor vehicles to be financially responsible for injuries and/or damages they may cause to others when a traffic crash occurs. The second is the No-Fault Law which requires anyone who owns or has registered a vehicle in their name to carry Personal Injury Protection and Property Damage Liability insurance. You must maintain insurance coverage during the entire time that a vehicle with four or more wheels is registered in your name. The Florida DMV Department of Highway Safety and Motor Vehicles may suspend your driver license, including your vehicle tag and registration, for up to three years or until proof of required insurance is provided, whichever occurs first. Stop. If you are in a crash while driving, you must stop. If anyone is hurt, you must get help. You must also be ready to give your name, address, and vehicle registration number and show your driver license to others involved in the crash. Report the crash. If the crash causes injury, death, or property damage, it must be reported. Call the local police, the Florida Highway Patrol, or the county sheriff's office. If the crash involves a charge of driving under the influence (DUI) or results in death, injury, or property damage to the extent a wrecker must tow a vehicle, the officer will fill out a report. If property damage appears to be over $100 and no report is written by an officer, you must make a written report of the crash to the Department of Highway Safety and Motor Vehicles within 10 days. The officer will provide you with a copy of the form for your records. Move your car if it is blocking traffic. If your car is blocking the flow of traffic, you must move it. If you cannot move it yourself, you must get help or call a tow truck. This is true any time your vehicle is blocking the flow of traffic whether it has been involved in a crash or not. Appear in court. If you are charged in a driving crash, you may have to go to court. The officer who comes to the scene of the crash will file charges against any driver who violated a traffic law. Anyone who is charged will have a chance to explain to the court what happened. The court will then decide what the penalty is. Anyone who is not charged with violating the law may have to come to court as a witness. If you are found at fault in a collision where anyone is injured and transported to a medical treatment facility or it is your second collision in a two-year period, you will be required by law to attend a Traffic Collision Avoidance Course. The traffic school that conducts this course can be found in the yellow pages of your local telephone book under Driving Instruction. A driver convicted of leaving the scene of a crash involving death or personal injury will have his or her license revoked. The driver is also subject to criminal penalties. Why is your price so much lower than the other traffic schools? Can I take the course immediately? Can I take it in sections? Is this course state approved? Do I need any special type of computer to get on the program? Do you offer an audio read-along? Are there videos to download? Can I do the course from several different computers? Like both at home and at work or school? Can I work on it from a friend's house? I don't have a computer. Can I still take the course? How do you know it is me taking the program and not someone else? Do I need a printer to take the program? I am hearing impaired. How do I book a course? I am new to the Internet. Is this course hard to follow? How many times can I elect to attend a driver improvement course? Can I take the traffic ticket course if I have a CDL license? If I have a Florida License, but get a ticket in another state, can I take the BDI Course to remove the points from my driving record? What does a driver record report include? How many points before you get a suspended license in Florida? Do you offer the online FloridaTraffic School in Spanish? How many times can I go to a Florida Online Traffic School for a Florida traffic ticket? How many times can you go to traffic school in Florida? What do you do in a defensive driving course? What does traffic school do for you? How often can you go to traffic school? We strive to provide the lowest price traffic school in the state where you received your traffic ticket or speeding ticket. Other competing classroom and online Traffic Schools and defensive driving courses and programs typically cost 5-75% more. Many states, such as Florida, require us to collect a state assessment fee. For the Florida DMV, Department of Highway Safety & Motor Vehicles, there is a $2.50 state assessment fee. Depending upon the state, there may also be a certificate shipping and handling fee for mailing the certificate to you. For video customers and classroom customers only, there is a $7.50 test grading and classroom surcharge. No middleman. We own the course, so there are no franchise fees to pay. We don't spend a million dollars advertising in yellow pages! Your certificate of completion will be processed after you complete the course online and we will send it to you via US Mail or for a nominal charge, you can choose rush processing and email delivery. If you are under the purview of the Florida state DMV, you may require expedited delivery of your Florida traffic school certificate of completion. We offer overnight delivery via mail or electronic certificates via email for a nominal fee. Yes, you can take the course immediately, and you can take the course in sections or do it all at once. It is your choice when and how long you want to work on the course. Many of our customers take the course at work during breaks or late in the evenings at home. Of course, if you prefer, you can sign up for one of our classroom traffic school locations. Yes, it is approved by the appropriate state approving agency. No. As long as you can get to the Internet, you can use our program. Yes. Our Audio Express feature is designed to help you finish the course the fast and easy way. You'll be able to pause or go back as many times as you like - which will help make passing the final exam a breeze! With Audio Express, you'll be finished in no time! Just sit back, relax, and enjoy the high quality listening experience that so many people are talking about. Almost 60% of our customers choose this option already! No. There are absolutely no downloading requirements. Yes. You may do the course from someone else's computer. Yes. You may use a computer at the public library or Kinko's or any place that allows access to a computer that can go on the Internet. To sign up only, please call 1-800-Pay-24.95. However, by signing up at our Florida web traffic school online, you really help us keep our prices the lowest in the industry. You are taking the course under penalty of perjury. We assume most people would not commit a crime to let someone else take the course for them. Additionally, we do ask a series of personal security questions to identify you while online. No, you do not need a printer. The only thing you may want to print out would be the verification of passing the final exam at the end of the course. However, we will mail you an official State of Florida certificate of completion through the regular mail. You are welcome to sign up for our online course. If you wish to attend a classroom course, please dial 711 from your phone to be connected to your local relay service. They can connect you to us by dialing 1-800-729-1997. You may also email us at support@lowestpricetrafficschool.com. Once you reach one of our highly trained staff, you will be connected to a supervisor who will get you registered for an available course and provide you with a sign language interpreter or other required accommodation. No. Many of our customers are new to computers and to the Internet. We have designed this course for beginners and you need no special computer skills. We are also always available to help you via telephone or E-Mail. How many times can I elect to attend a traffic school or driver improvement course? Under Florida DMV guidelines, you can elect to attend a driver improvement course only once in any 12-month period and no more than five times in a lifetime. Other states vary. For questions, please call 1-800-729-2495. Ch. Law 2010-198 HB 631 Motor Vehicles Effective 07/01/10 - 318.14(9) - Drivers are limited in the number of traffic school elections they may make in order to avoid points, to no more than 5 in a lifetime. Unfortunately, holders of Commercial Driver's Licenses (CDL) are not eligible to elect traffic school per Florida Statute 318.14. No. Per FL statute 322.27(3)(e), taking the BDI course for point removal only qualifies for tickets issued in the state of Florida. If you received your traffic violation in another state, the BDI course will not work to remove the points from your driving record. Guilty convictions of traffic violations (within 3 or 7 years of the conviction date). Suspensions, revocations, cancellations, and disqualifications cleared within 3 or 7 years of the request date, unless retention is met and entry has been purged. Also D-6 suspensions once cleared are transferred to correspondence entries and would not appear on 3 or 7-year records. However, if a conviction for driving while license canceled, revoked or suspended is on the record, D-6 suspensions will not transfer to correspondence. Also, on records of CDL drivers D-6s will not transfer to correspondence. Crash entries, within 3 or 7 years of the crash date, when a traffic citation was issued as a direct result of the accident. 12 points earned within 12 months results in a 30-day suspension. 18 points earned within 18 months results in a 3-month suspension. 24 points earned within 36 months results in a 12-month suspension. To avoid points, people who receive a traffic ticket may elect traffic school. 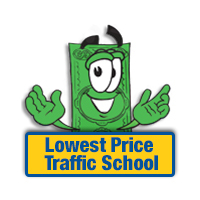 LowestPriceTrafficSchool.com is a DMV approved provider. You can complete traffic school (now available 100% online) up to five times during your lifetime in Florida. You may not complete traffic school more than one time within a year. In order to qualify for Florida traffic school (also know as a Basic Driver Improvement Course - BDI), you must elect traffic school within 30 days from the date you received the traffic citation and inform the Clerk of Court in the county where you received the citation that you want to go to traffic school, and pay an election fee to the Clerk of Court in the county where you received the traffic ticket. LowestPriceTrafficSchool.com is an approved traffic school provider and the course is 4 hours in length and is 100% online. You may elect to attend traffic school (basic driver improvement school) a maximum of five (5) times during your lifetime and no more than once a year. The four hour course may be completed entirely online at LowestPriceTrafficSchool.com. You may start and stop the course as many times as you like, thus making it more convenient than traditional classroom courses. A defensive driving course, also know at traffic school or basic driver improvement school, consist of a four hour class covering a wide variety of traffic safety topics such as rules of the road and the dangers of texting while driving. The courses must be approved by the Florida Department of Highway Safety & Motor Vehicles. LowestPriceTrafficSchool.com is an approved provider and the courses may be completed entirely online. Traffic school is an option for people who receive traffic tickets for various moving violations in the state of Florida. By electing traffic school, the traffic offender keeps the points off of the license as there is no adjudication of guilt. Additionally, Florida statutes require that insurance companies may not raise premiums or cancel policies for customers who elect the traffic school option to satisfy a traffic citation. The Florida DMV approves the course providers. LowestPriceTrafficSchool.com is an approved provider and the course is entirely online. In Florida, the benefit of completing traffic school is to avoid points that would otherwise appear on your drivers license after receiving a traffic ticket for a moving violation. This can prevent the traffic violator from having his or her insurance premiums from being increased or even cancelled, pursuant to Florida statutes. The 4-hour course can be completed online and LowestPriceTrafficSchool.com is one of the DMV's approved providers. You may not elect to attend traffic school more than once in a year (365 day period). The course is 4-hours in length. Providers are approved by the Florida DHSMV and LowestPriceTrafficSchool.com is one of the approved providers. The course is 100% online. A traffic violation is a violation of Florida statutes as it relates to operating a motor vehicle. Violations are classified as moving and non-moving violations. People who receive a ticket for a moving violation may elect to attend a traffic school to keep the points off their drivers license record. The Florida DMV approves traffic school providers. LowestPriceTrafficSchool.com is an approved provider and offers 4-hour course online. Too many traffic violations will result in driver's license suspension. Is this the official DMV Test? What if I have already taken the Drug and Alcohol Course? I took the Drug and Alcohol Course somewhere else. Can I take the DMV Test online here? What identification do I need to complete the online exam? How old do you have to be to take the DMV written test online? How does the DMV Online Exam work? Yes, the Florida Department of Highway Safety & Motor Vehicles has authorized LowestPriceTrafficSchool.com to provide the DMV's written test online. If you completed the course at LowestPriceTrafficSchool.com, then simply log in to www.LowestPriceTrafficSchool.com with your user ID and password to take the DMV Exam online. However, the Florida DHSMV does not require you to take the exam with the same school in which you completed your Drug and Alcohol Course. Yes. The Florida DHSMV allows the student to complete the online exam with any authorized provider, but you cannot take any part of the exam more than three times. The eligible ages for the online driver license exams are 14, 15, 16, and 17. Any new driver 18 years of age or over taking the DMV Test must take it at a local DMV Office. The Knowledge Base exam is a 60-minute, 50-question test consisting of road rules and road signs questions. You must answer 40 questions correctly in order to pass. If you fail the online Florida DMV Exam the first time, don't worry! You are allowed two re-takes if you do not pass on your first attempt, although there is a re-test fee each time. If you are still unsuccessful after three attempts you will be required to go to the driver's license or tax collectors office and request a re-test. You do not have to take all re-takes from the same school and you are able to take the retake at the driver's license office.